← Analysis on Canadian Taxation: Too Complex? Alberta is a dynamic province with wonderful potential. The city of Calgary is booming and it is fulfilling its role as an economic hub in the area. Even the recent building permit statistics are proving that we have much to look forward to in the province. Alberta has been the only higher-population province to record a continuing increase in the value of building permits between March and April 2011. What’s more, both residential and non-residential construction plans rose in Alberta — unlike any of the other provinces. Alberta consistently ranks third among Canadian provinces in terms of the value of issued building permits, although it definitely has the potential to overtake Quebec in the near future (as was the case before 2008). Alberta has posted gains despite the receding construction intentions of educational institutions and medical facilities that plan to expand their presence in the province. Utilities buildings were on the rise, adding to the overall increase in non-residential permits’ value. In terms of residential buildings, Alberta reported the largest increase in multi-family and single-family dwellings from among the provinces. The importance of keeping track of building permits statistics lies in the fact that they effectively give you an early indication of the volume of construction in your area. If you are active in the property market, these “early warnings” are invaluable for your trading decisions. Should you hold on to your home or should you sell as soon as possible? Contact us if you’d like to know more about the most lucrative areas in Calgary and how to leverage the best market opportunities. 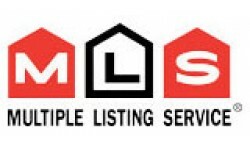 In the meantime, feel free to browse our MLS of Calgary homes or leave us a comment below.